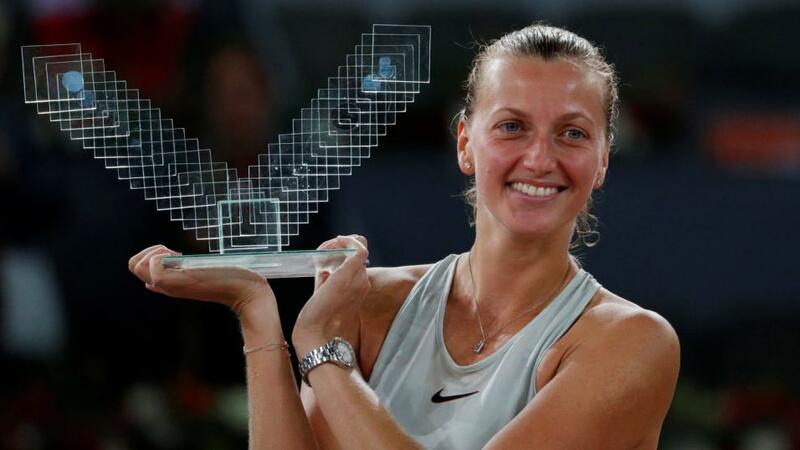 "Disregarding Williams, and her fitness doubts, Kvitova is the player with the best 2 year grass data, winning 64.4% of points on serve and 47.0% on return (114.4% combined), and no other player can break this 110% barrier." It is often the case with women's Grand Slam events that there is much more of an open feel to the tournament than the respective men's event, and this year's Wimbledon is no different. The reasoning for this is pretty straightforward, with the best of five set format in the men's tournament favouring the 'better' player - giving them more chance for fightbacks, and by definition, less shocks - while there isn't really a dominant player on the WTA Tour currently, and certainly not a surface specialist vastly better than the rest, as Rafa Nadal is on clay in the men's game, for example. This relatively level playing field is evidenced by just two players - Petra Kvitova and Serena Williams - are priced in single digits, with Kvitova the market favourite at a current [5.9]. Williams is breathing down her neck, at [7.4], and in theory, both players should enjoy the quick conditions that grass naturally provides. However, the younger Williams sister has several doubts around her level at Wimbledon. Firstly, she's not played any warm-up events, placing her at risk of an early exit when lacking match practice, and also in her last event - the French Open - her return data was very mediocre indeed prior to her withdrawal. While I expect her serve to be imperious, I anticipate her to be considerably less impressive on return. Disregarding Williams, and her fitness doubts, Kvitova is the player with the best 2 year grass data, winning 64.4% of points on serve and 47.0% on return (114.4% combined), and no other player can break this 110% barrier. Quite surprisingly, it is the older Williams sister, Venus, who is next in line (108.9%) but her activity this season has been sparing, and at 38 years of age, it would be a big leap of faith to keep her onside to a large extent. Around this level there is an abundance of players, with Ash Barty (108.4%) leading the way. The Australian is currently available at [36.0], and there are 14 players with grass data between her 108.4% and 104.4%, aptly illustrating the level playing field of the women's event. Of the players in this bracket, there are a number who will fancy their chances. Maria Sharapova and Caroline Wozniacki are all-courters with solid data across all surfaces, but there are a number of grass-court specialists who are worth keeping an eye on. These include Coco Vandeweghe at [70.0] and Magdelena Rybarikova, although the latter player retired from her match this week. However, particularly given that she's defending semi-final ranking points, it's difficult to know how much this was as a precaution. To a lesser extent, home player Jo Konta fits into this bracket and after a predictably poor clay season she's not particularly respected by the market, priced at [44.0]. Other players who fit the serve-orientated dynamic generally required to succeed on grass, with strong grass court data, include Madison Keys, Angelique Kerber and Julia Goerges, so we can start to build up a bit of a shortlist of players who we will be keen to have avoid a difficult draw. Another player worth keeping an eye on is Anett Kontaveit, who has shown improvement across all surfaces and her grass data is also very good. Players that my data indicates are a little over-rated at market prices include Garbine Muguruza, who admittedly tends to save her best for the big tournaments - as well as Simona Halep, Karolina Pliskova, Elina Svitolina and Sloane Stephens. None of these players have two year grass data at top ten level, but they are priced as such. I'll be back over the weekend to discuss the draw and formalise our outright picks for what looks like an extremely wide-open ladies singles event. Wimbledon Betting: Is Croatian kid Coric the boy to finally break up the big four?